Pregnancy is a time of joy. Mothers want to only the best for their growing fetus, which is why it is important for mtoehrs to pick the right nutrition. 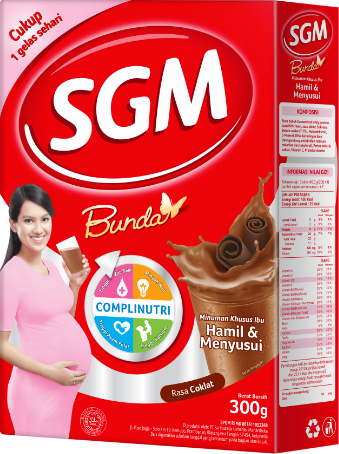 SGM Bunda Presinutri+ is a drink specially formulated for pregnant women which provides all the necessary ingredients required during pregnancy stages. Armed with over 50 years of experience in providing nutritional products for mothers and children in Indonesia - in collaboration with Indonesian, Singapore, and Dutch child nutrition experts - Sarihusada Generasi Mahardhika presents SGM Bunda Presinutri+ for expectant mothers. 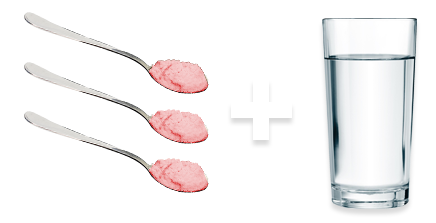 Dissolve 3 tablespoons of Lactamil Pregnasis (± 30 g) in 180 ml of warm boiled water, stir until it dissolves. 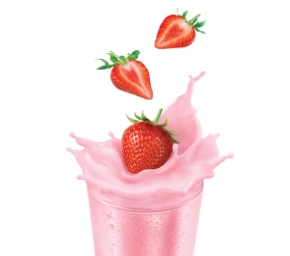 Drink SGM Bunda Presinutri+ after it has been prepared.